The electronic gadget in your hand was sooner or later we all drop our smartphones. Sometimes we leave them in pockets or purses crammed with all sorts of items, we forget to charge them, and sometimes leave them in hot or wet areas. We have even jumped into water with our smartphones in our pockets… A dirty phone screen or dirty phone is not pleasant for any of us. Smartphone screens and phones are delicate pieces of electronics and should be handled with care. We must make sure we clean our Smartphones the right way or we can ruin them for good. Smartphones should be cleaned regularly, but they require a lot of care and some safety precautions. Never use commercial liquid cleaning products when cleaning a smartphone. Do not use liquids of any kind or you can permanently damage ruin electronic devices, so please be careful. Always keep your phone turned off while cleaning. If your phone gets wet during the cleaning process immediately place it in the bowl of dry rice or silica gel. Hopefully, this will absorb the water and save the device. Do not use paper towels or tissues to clean your smartphone. Use only a microfiber cloth. Never use a hairdryer on your smartphone, or any other device to dry to speed up the drying process. Smartphone contain so many parts that can easily be warped and unusable at high temperatures. So proceed with caution when cleaning your Smartphone. The main tool you need is a microfiber cloth. 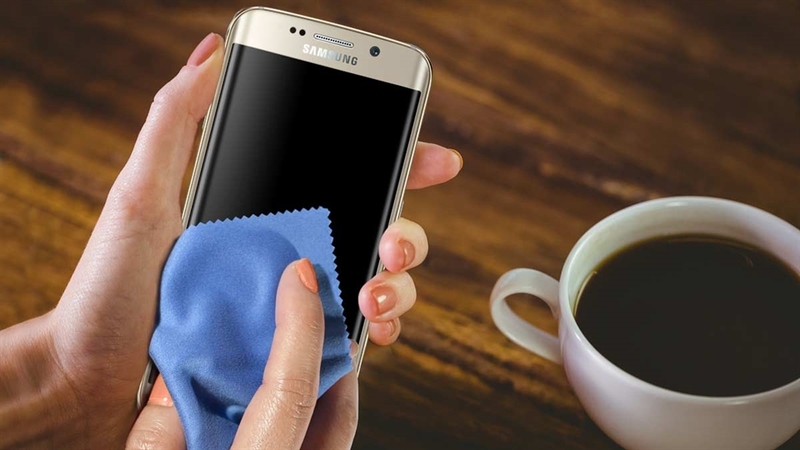 To clean your smartphone screen. If you don’t have a microfiber cloth you can buy one from camera stores, electronics stores, hardware stores, or online for just a few dollars.